There are many ways to save money when letting out a property to tenants, including renting furniture for the home instead of buying some. Here are some pros and cons for doing so, which will help you decide whether to purchase all the furniture for your property or hire it. One of the best reasons to buy your own furniture is that you might find it is cheaper in the long run. While you’ll have a considerable outlay at the beginning, you won’t pay any extra for the furniture than you need to. You can find some bargains on furniture if you look thoroughly, with good deals to be had on second-hand pieces or in showrooms when they’re offering big discounts. You could also purchase furniture on finance, which means you can spread the cost if you need to. This means you don’t have to incur such a huge expense in one go, but you also won’t need to pay more than the furniture’s worth by renting if you plan to let out the property for a long time. By owning the furniture yourself, you don’t have to worry so much if your tenants damage it. While this will be an annoyance, you can charge them penalties for doing so by taking it out of their deposits. However, if you are hiring furniture, you yourself may have to pay an extra charge, which could be greater than the amount it costs for the repairs. In order to buy all the furniture, you will need to be able to afford to do so. Having your own furnishings is often desirable as you can keep them for a number of years; however, if you think you’re likely to have a regular turnover of tenants, you should consider the possibility that you’ll have to update your furniture quite often. Your property will seem more appealing if it is filled with stylish and clean items, so buying new pieces could help attract more interest and, therefore, fill the home more easily. This investment will be worth it in the long run – but be aware of the initial costs of buying the furniture in the first place. What’s more, if your tenants damage your furniture, you will have to incur the cost and responsibility of fixing it. This can be cheaper than paying for a rental company to do this, but don’t forget, you have to spend the time to do so – something that may be very precious to you if you own a number of buy-to-let properties in the UK and abroad. 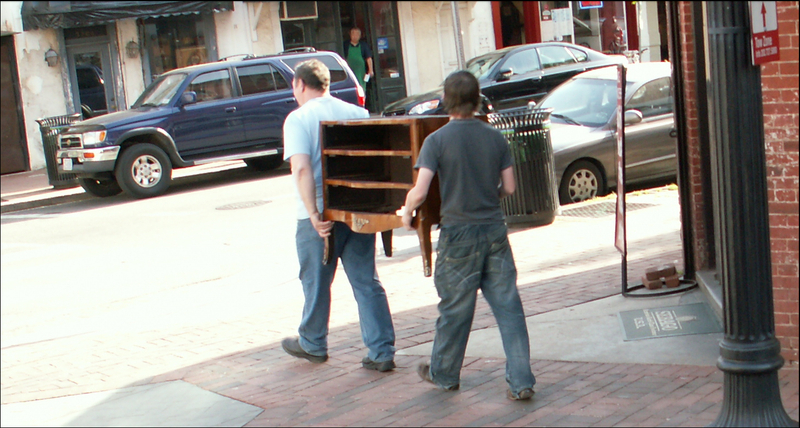 The alternative to buying furniture is hiring some, and there are many benefits of doing this. For a start, you don’t have to spend a lot of money to fill the house in one go. By renting, you only hire what you need and lower the initial cost by paying on a monthly basis. Therefore, if your property is empty for a couple of months, you don’t need to pay for the furniture when you don’t require it. Another benefit is that it allows you to be flexible; while all rental properties will require a bed, wardrobe and sofa, you only have to hire any extra furniture your tenants requests. For instance, if they’re happy to use the breakfast bar to eat from, you don’t have to rent a table and chairs. Alternatively, you can attract tenants to the property by saying they can have their input when it comes to choosing the rental furniture; this might make more people interested in moving in. You can also find furniture packages, so if you need to get a whole set of new furnishings in no time, companies can locate everything you need that’ll be suitable for your new tenants – whether they’re students, young professionals or families – without you having to do the hard work. While there are considerable advantages to renting furniture, there are also some negatives too. For instance, if your tenant decides to stay in the property for several years, you’ll have to continue to pay hiring charges all this time. You might find this adds up to being a lot more expensive than it would’ve been to just buy the furnishings in the first place. Depending on where you hire your furniture from, you might not be able to find matching pieces. If you’re hoping to create a sophisticated, stylish abode, you may wish to have a lot of your items match – or at least complement each other – but this could be difficult if you don’t buy them yourself. You also need to ensure the furniture fits trading standards, as you’re letting out the property to members of the public. Therefore, you need to ensure their safety is paramount and furniture will have to meet fire and safety regulations. You need to ensure all the cloth furniture is made out of fire-resistant material, whether you rent or buy your furnishings. Hiring certainly gives you the flexibility, while owning your own furniture could be a more cost-effective option in the long term. Whatever you choose, your decision will come down to your own personal situation, but it is worth considering both options just in case the other suits you better. About the author: Natasha Al-Atassi is a property investment writer for Select Property Investment, collating the latest news about property investment opportunities, as well as updates on the Select Property brand and information to help investors interested in buying real estate.